There Are More Than 60,000 Tree Species Worldwide, Scientists Say : The Two-Way More than half of those species are only found in a single country, and many of them face extinction. The scientists hope that this database will be an important tool for conservationists. 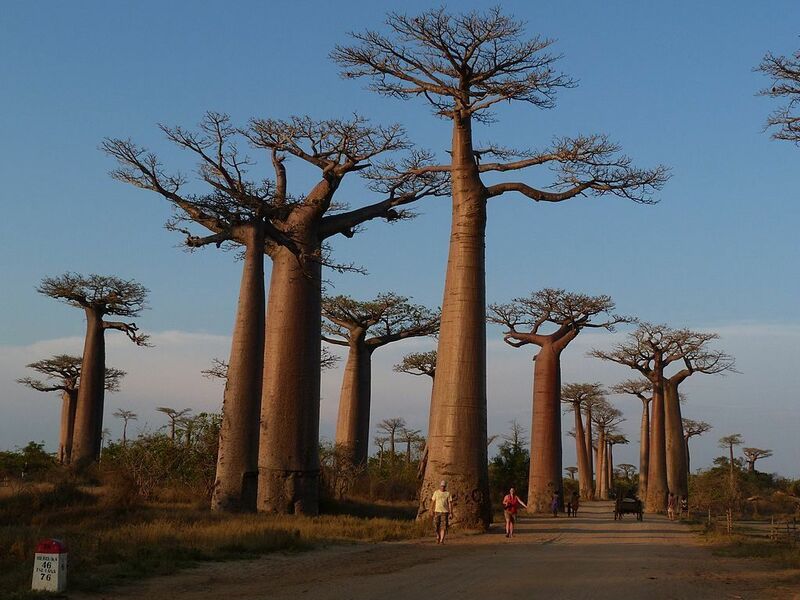 People walk along the "Avenue of the Baobabs," a natural reserve in western Madagascar, in 2011. The database includes information about where each species is found geographically. More than half of those species are only found in one country, the researchers wrote in the Journal of Sustainable Forestry. And many of them are threatened with extinction. The researchers hope the database, called GlobalTreeSearch, will provide a practical tool for conservationists. 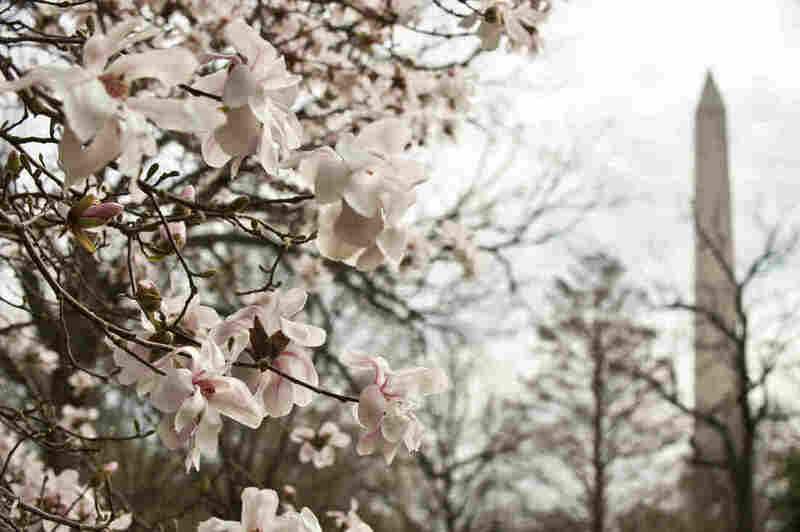 It could help to develop "species-specific action" for threatened trees, they stated, "as individual tree species face threats that are unique to that species. For example, scientists determined in late 2016 that a species found in remote locations in Tanzania called Karomia gigas had a "single population of just six trees" because of over-harvesting, the BBC reports. "They recruited local people to guard the trees and to notify them when the trees produced seeds." Brazil has the highest number of different tree species, with 8,715 – about half of them unique to the country. Colombia has 5,776 species, followed by Indonesia with 5,142. The Arctic regions were found to have no species of tree. After that, the Nearctic biome of North America had fewer than 1,400 species. In the paper, the team acknowledges that it's surprising that this information was not available in one place before. "This is 'big science' involving the work of thousands of botanists over a period of centuries, and the advent of digital checklists and databases over the past few decades have made the collation and refinement of so many data sources possible," the paper reads. Over a period of two years, they collected information from more than 500 published sources and 80 experts in the BGCI's network. The scientists plan to continue to update GlobalTreeSearch as species are discovered, change in taxonomy — or go extinct. "In 2015, a study found that there are likely more than 3 trillion individual trees on the planet, significantly more than the 400 billion previously proposed. Last summer, ecologists combed natural history specimens to find that the Amazon Basin has at least 11,676 species of trees, estimating that roughly 4,000 species in the area have yet to be discovered." A previous version of this post misspelled Colombia as Columbia.